If you're a foodie who spends time in the culinary fast lane, then the Gourmet Getaway is for you. 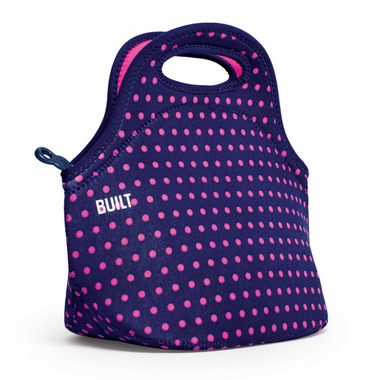 The Gourmet Getaway is the gold standard among insulated lunch bags. It's great for road trips, plane rides, or any time you're on the run and need provisions to keep you going. It expands to fit a variety of containers, and is machine washable so there's no need to worry about spills. And unlike those brown bags, you'll want to reuse one of these insulated lunch bags over and over again. LOVE. Great colour. Nice and big. Wash it all the time. Solid zipper. My kids love these colourful unique lunch bags. I love that they are durable, reusable, machine washable, great buy! Love this lunch bag! Perfect size. And it has stretch if you need to squish. I can fit my lunch and snacks and water bottle and coffee mug! It won't zip with the large water bottle but it still fits in perfect. And you can just throw it in the washing machine. Very happy with my purchase!